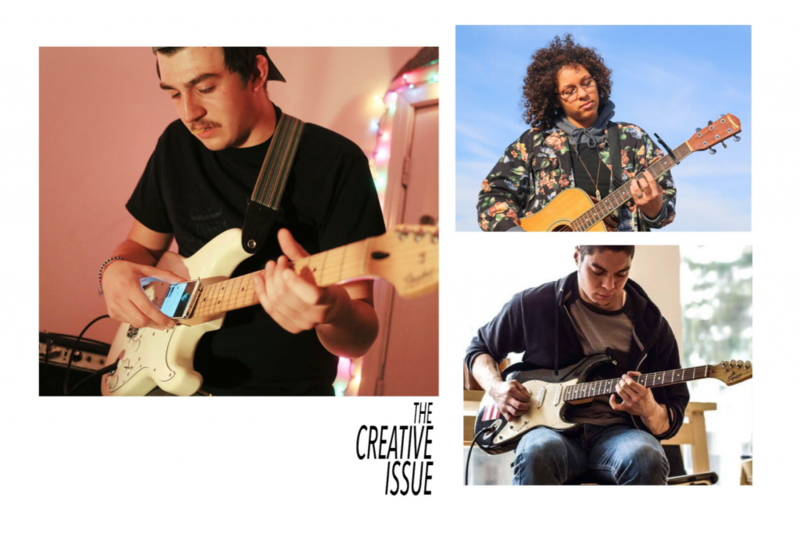 Striking a Chord: Music Provides a Creative and Collaborative Outlet | Grand Central Magazine | Your Campus. Your Story. Not every student who has an interest in music or art opts to go into a traditionally artistic field, but for some, creativity is still a large part of their lives. Nate Zinzi, a Central Michigan University alumnus, loves to write. Now that he’s working as an English teacher, he’s mostly been writing lesson plans, but he still utilizes his creativity by performing both alone and with his band, Moses. Zinzi said he never knows what will spark his creativity – sometimes a beer might work, sometimes a good conversation might inspire him, or sometimes, he creates his best work when he’s in a bad mood and wanting to escape from something. 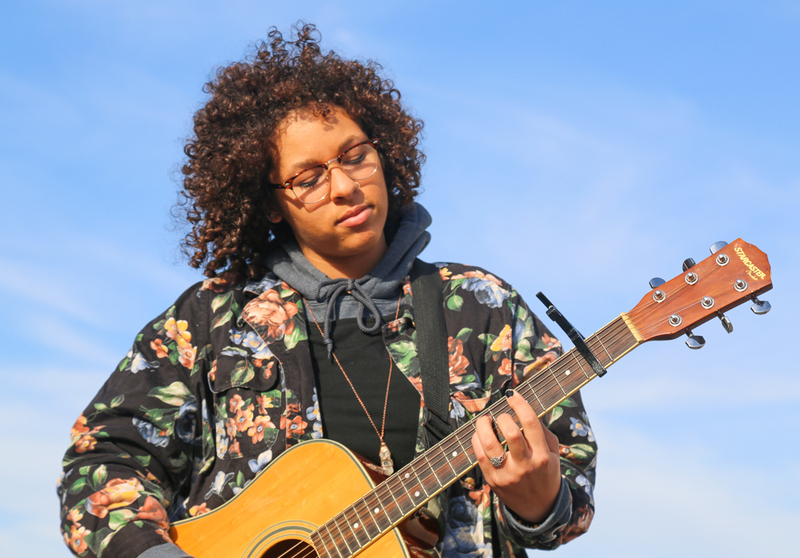 Laurel Conde, a CMU student studying sociology and women’s studies who loves to sing and write music, said music has always been a way of expression, especially when everyone goes through their “angsty stage” and feels like no one understands them. She felt like music always understood. 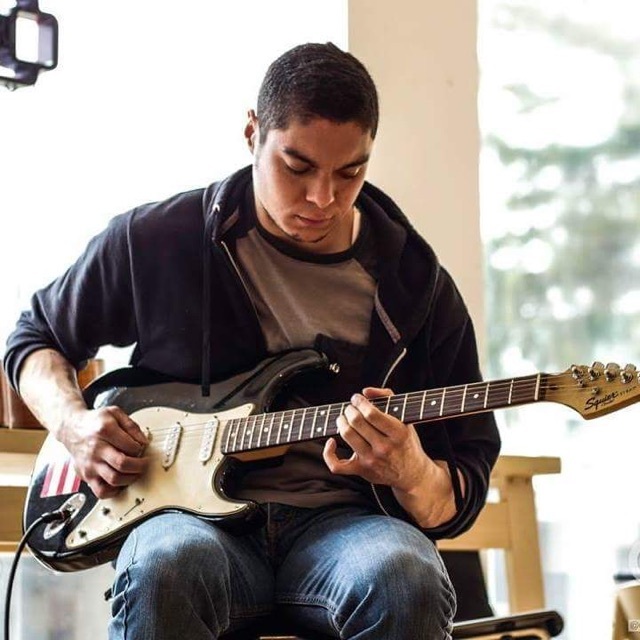 For business information technology graduate student and musician Jake Montalvo, music is therapeutic. Conde said everyone is creative in some way and can find a creative outlet. Montalvo completed his undergraduate degree in English at CMU. He said “realism” and “pessimism” led to his switch in his field of study for graduate school. “It’s pretty rough out there, but I told myself I don’t need a degree to write. I can still write whenever I want,” he said. There have been several instances where he’s gotten frustrated and thought, “I’m done playing guitar”. However, he always comes back to it. All members of Zinzi’s band, Moses, have graduated so they’re still trying to figure everything out. The four of them all live in different cities. If Zinzi is going to play in the Mount Pleasant area, he usually plays by himself now. Though he doesn’t get a chance to play as often as he used to, music is still a big part of his life. Conde said her work is influenced by many things, but passion is one that sticks out to her. “For me, I think it’s passion [that influences my work], whether it’s a passion so strong you’re terrified for the future or something you love to death or you’re so passionately angry about something. To just feel so overcome by the feeling of something, I think that’s really what influences my work,” she said. She said she respects Sia as an artist because she writes and produces her own music and doesn’t seek out fame. Conde said she likes to push herself to achieve more and thinks it would be great to release an EP. She also thinks a “performance” doesn’t have to be in front of a large group of people. Conde and Montalvo met because Conde saw Montalvo play at Pleasant City Coffee. Montalvo said he’s played with a few other people here and there and when collaborating and using his own ideas, he likes giving the other person the space to mold it, too. Zinzi said he’s made a lot of friends through music. 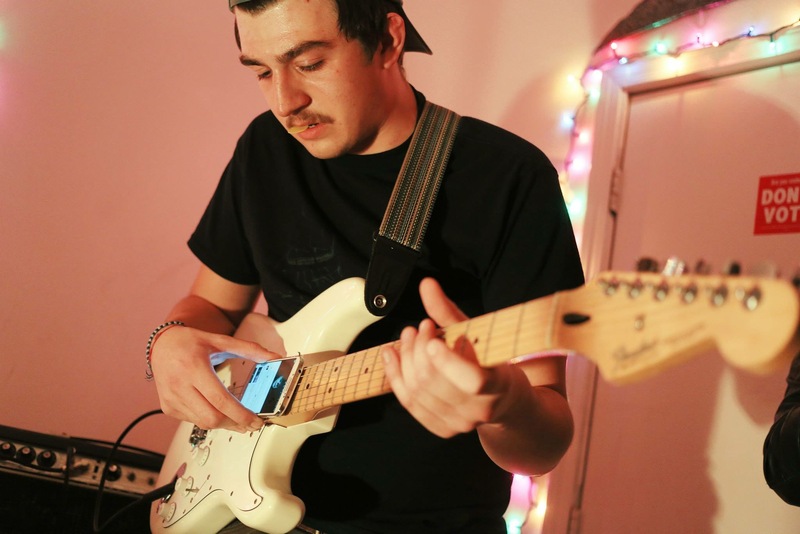 To him, community is a huge aspect of creating music and performing. “I’m kind of a silly guy so it’s exciting just bonding with people and it’s never just playing and being silent. I’m usually like cracking jokes. Getting people together is what I really like about it,” Zinzi said. Conde also loves sharing music with people. Zinzi loves to read and write, but while working as a teacher, his music has become more of a weekend thing for him. Still, he incorporates it into his career by playing music in his classroom. Though he has to follow a curriculum, he incorporates creative writing and poetry for rewards in class. Plus, he said, the students study literature, which helps them think more creatively. As an avid reader, Zinzi said he likes a lot of classic literature and could probably read “Frankenstein” every year and still get something out of it. Moses also has an EP based on Stephen King’s “It”. Montalvo admits that sometimes he has to force himself to make time for music because he wants it to still be part of his life. However, he doesn’t have a lot of time – sometimes, he and Conde are both busy with school and exhausted, but they also feel the need to practice. Conde said the demands of college make balancing everything difficult sometimes. But she also thinks being able to write and sing about her feelings make balancing everything easier. Even if creative people don’t work in fields directly associated with creativity, she believes they will still be creative in what they do. “I think it’s inevitable. I think people who are creative, however you interpret that word, they will bring creativity into what they’re doing, whether they’re doing something like writing or science,” Conde said. Separator image Posted in College Living, Student Lifestyle, Students and tagged with balance, college life, community, Creativity, Music, Paige Sheffield, post grad, Student Lifestyle.